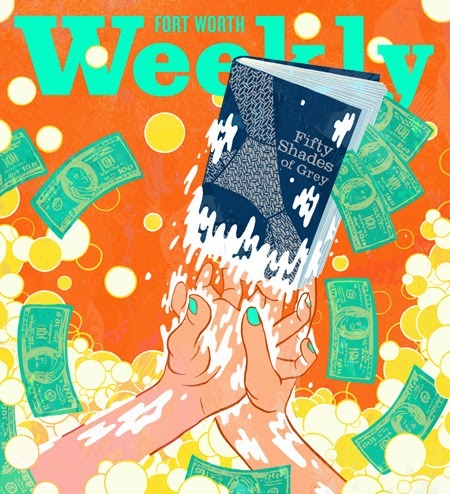 Jacob Thomas illustrated the cover story for Fort Worth Weekly, investigating a little-known facet of the “50 Shades of Grey” phenomenon. Soap maker Jenny Pedroza helped launch one of the biggest books in the history of publishing, but wound up with almost none of the money after being outmaneuvered by a former business partner. Matt Herring: Think You Know Bond? Think Again! Thomas Pitilli: Late to Class? Off to Court! Davide Bonazzi: Locked Up for Life?